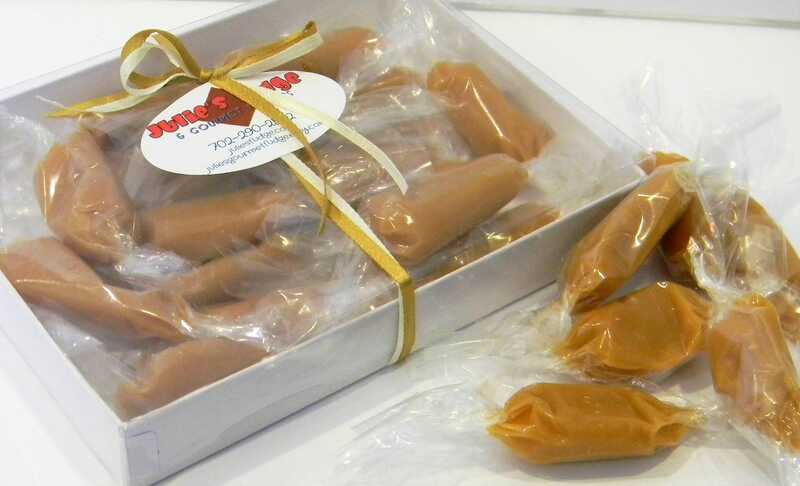 Julie's Fudge is expanding, and now we're offering SOFT CARAMELS! The Vanilla caramels are sweet, creamy, and just melt in your mouth with every bite! The Mudslide caramels combine Irish Cream and Kona Coffee flavors for a wonderful kick! 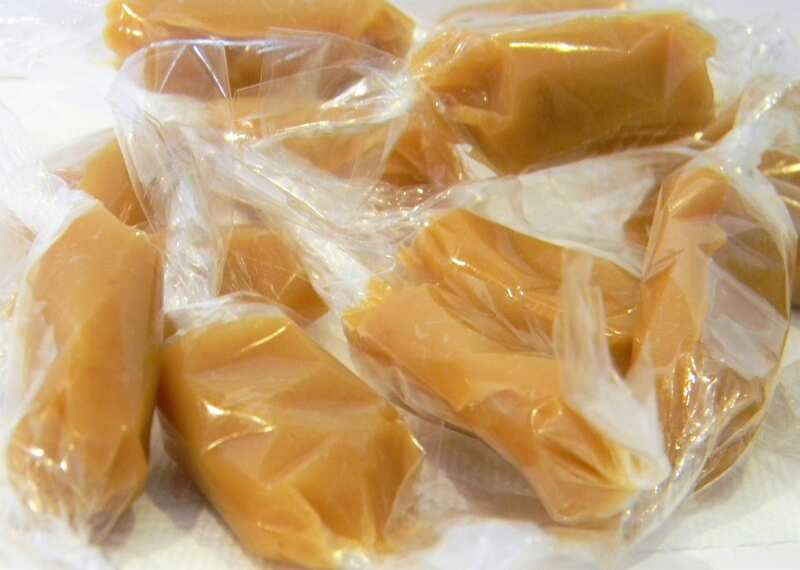 Our Popcorn caramels taste just like caramel popcorn, without getting stuck in your teeth! And last but not least, the Butter Rum caramels are truly a holiday in a bite! There's nothing like a caramel to bring you home, no matter where life has taken you. Enjoy a few with your morning coffee, an afternoon tea, or just because! 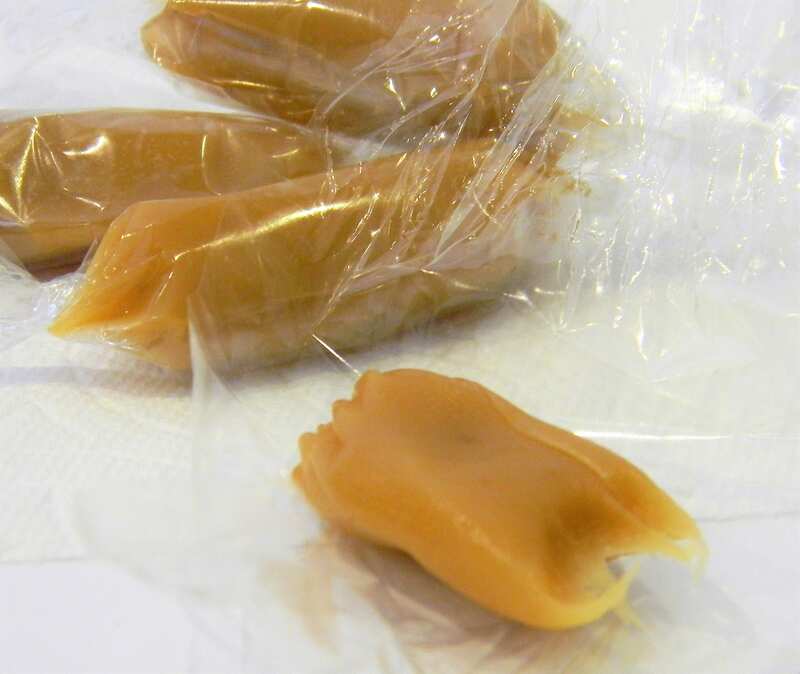 Share if you dare, but beware the powers of these soft caramels! They'll be coming back for more before you know it! 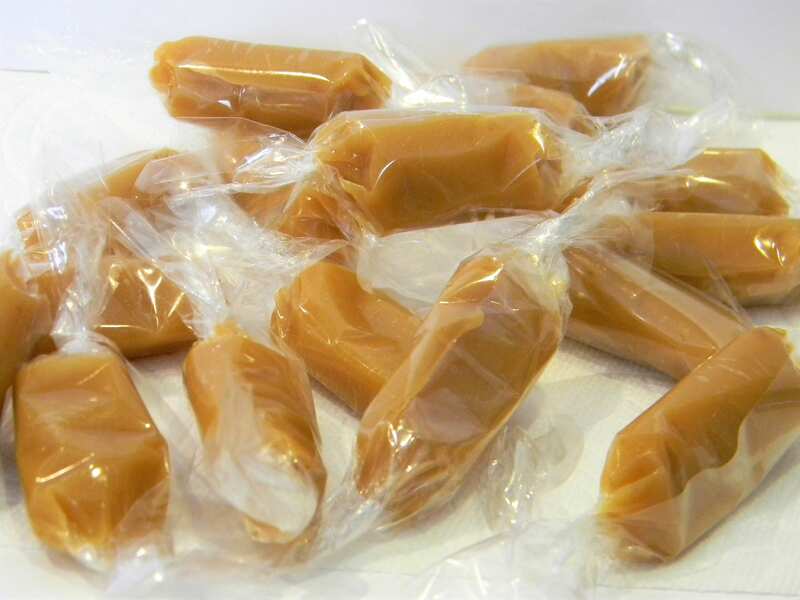 Because we hand-pour, hand-cut and hand-wrap our caramels, the size and weight of each individual piece may vary. Please reference the last two pictures in this listing to see how we box our caramels. Ribbon colors will vary.